SAC Name: River Barrow and River Nore. The alluvial woodland site at Knockanoran, Durrrow, Co. Laois is accessed via a small road, the L16401 that joins the R434 about 1km northwest of Durrow. Approx 1km along the L16401 there is a sharp turn to the right, but ignoring this turn and going straight ahead down a lane will lead you to the site. Durrow is the second largest site in the project. 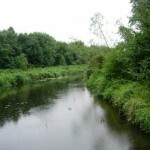 It consists of wet woodland on the floodplain of the Erkina River, tributary to the River Nore. The site flanks the north and south river banks and the entire area is liable to annual flooding. 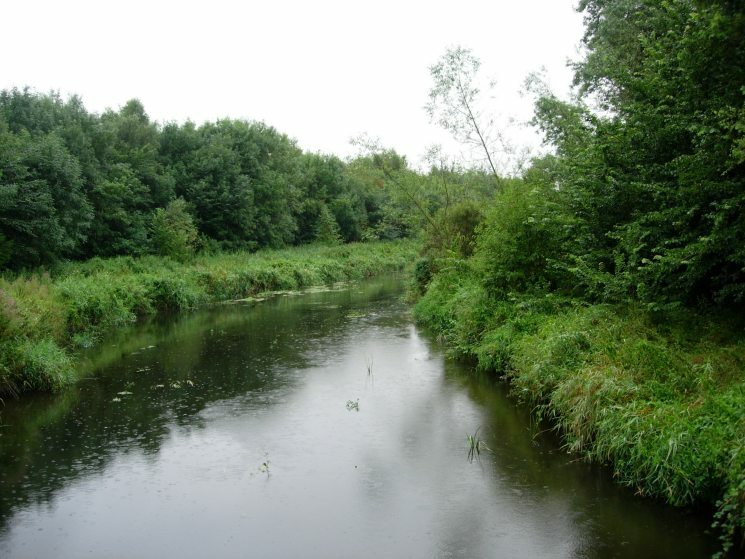 This project site is considered one of the largest areas of alluvial woodland in Ireland. Records show that the alluvial woodland here at Durrow is very old. Below is a link to the the Walking Durrow website, which provides details, photographs and route maps of some of the beautiful walks on Durrow’s Leafy Loop trail. Walks In Durrow Co. Laois – Walking Durrow – Routes and Information.